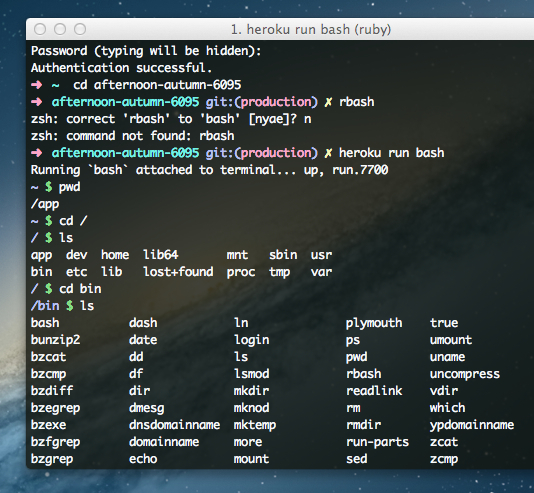 Structure of Heroku PaaS allows the advanced user to tweak to some extent within a PaaS environment. Tips For Command Line Interface possibly will help more. For just the starters, the guide Step by Step Guide to Use Free Heroku Cloud is more than enough as text guide to get started to use Heroku Cloud, Advanced Commands for Perfect Setup is somewhat for the advanced users for custom setup. Obviously, you need to know the reality about PaaS or rather the inherited limitations of a PaaS by structure, compared to an IaaS / Cloud Server. This article on Structure of Heroku PaaS allows the advanced user is for someone possibly more academic to explore the more possibilities of Heroku PaaS. The reason not to use hyperlinks to other websites is not the ‘fear’ of losing visitors from this webpage, but to nullify we as the referrer to protect the privacy of the user. It is just to allay the anxiety of the new users about who runs it. It is improbable that, Heroku will cease to deliver the free usage tier, mostly because, its the free usage tier that basically pushes all the developers to develop new ways. And run ls command. Now if you cd to that app folder and do ls, it will show up four folders and one file (boot.sh). You can Apache mod_rewrite to serve content out of “webroot” on Heroku. We basically have shown another way to set the web folder in previous guide. I copied it from StackOverFlow user fixlr’s one answer. Now, if you cd to /bin and do an ls, you will get some names. As an UNIX or Linux/ Unix like OS user, you will understand that they are commands. Unfortunately not all command are executable with user level privilege. This Article Has Been Shared 7667 Times! Cite this article as: Abhishek Ghosh, "Structure of Heroku PaaS : Tips For Command Line Interface," in The Customize Windows, March 17, 2013, April 18, 2019, https://thecustomizewindows.com/2013/03/structure-of-heroku-paas-tips-for-command-line-interface/.